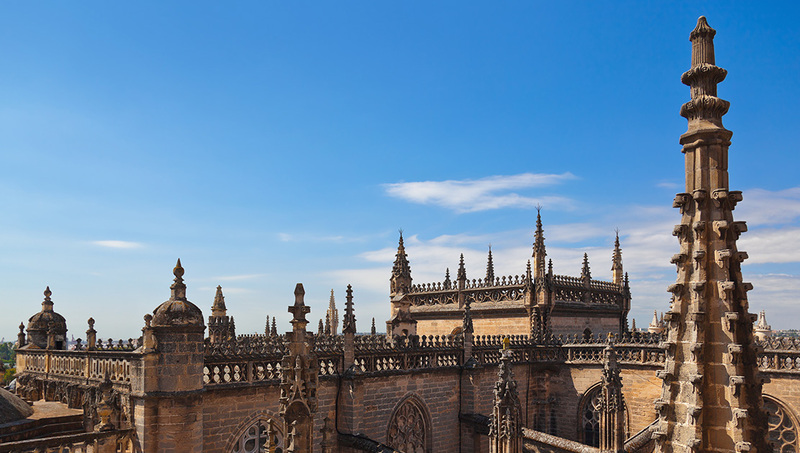 From Moorish influences, which brought light to Andalucia when the rest of Europe languished in the Dark Ages, to the height of Spain's colonial era and the riches the Americas yielded, a stroll through Seville takes you on a tour of its golden ages. 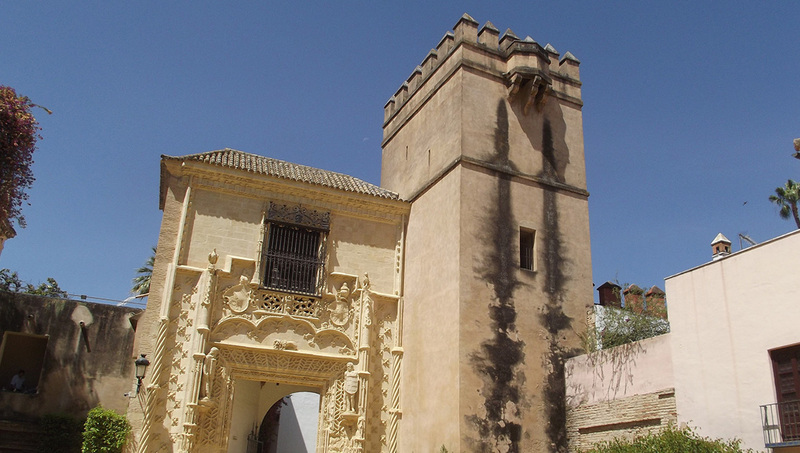 Established as a fort in 930 AD, a royal residence of the Moorish kings developed over the centuries. 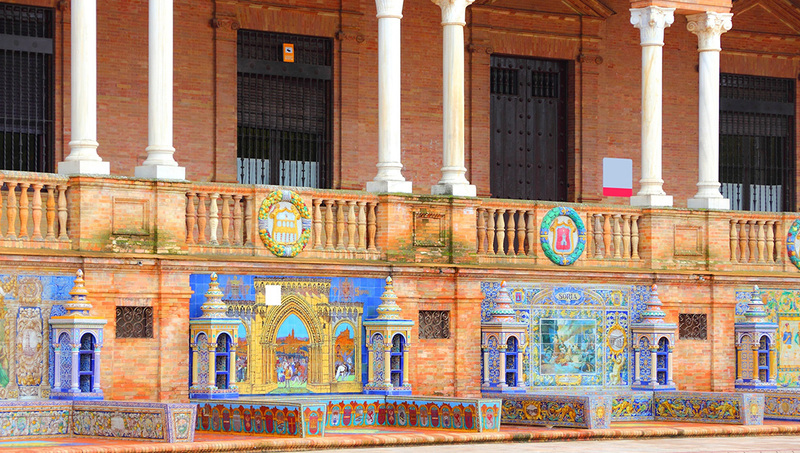 Complete with lush gardens, it's an exquisite example of mudéjar architecture. The world's third largest church stands on the site of the former, 12th-century Almohad Mosque. It's also been the final resting place for Christopher Columbus since 1898. Soaring 341 feet, the cathedral's bell tower was the original minaret of the mosque. 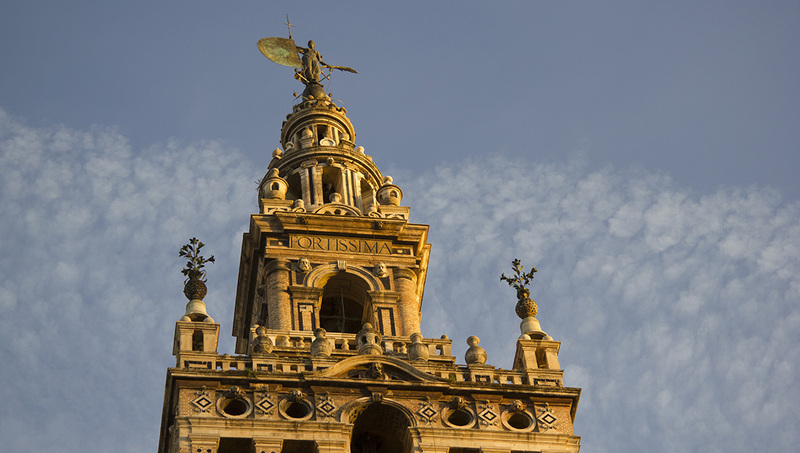 The bronze weather vane at the top has represented "faith" since the 16th century. Once decked in golden tiles, this robust "Tower of Gold" on the banks of the Guadalquivir River houses the Naval Museum that reflects Spain's colonial expansion in the Americas. Verdant and tranquil, the sprawling park along the city's river was the heart of the 1929 Ibero-American Expo. It's the perfect place to seek respite on a warm summer's day. 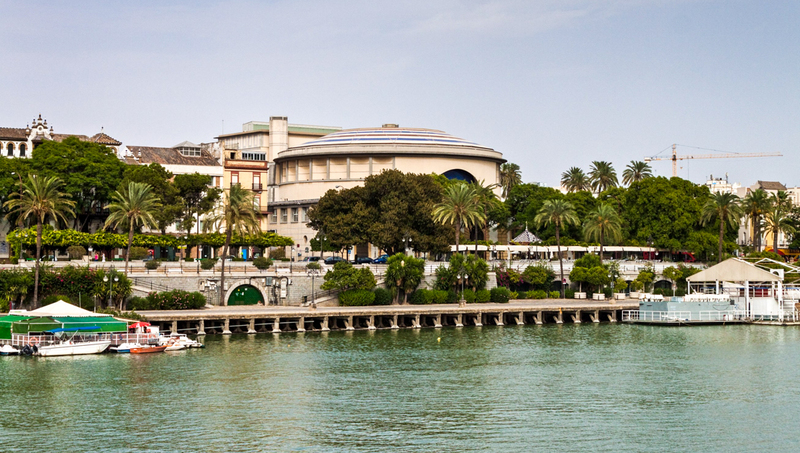 Built on the edge of María Luisa Park for the 1929 Expo, the grand, half-circle complex, with tiled alcoves representing Spain's provinces, boasts fountains and small canals. Located in the Casa Lonja de Mercaderes, the archive dates from 1785 and holds 43,000 records that document three hundred years of Spanish colonialism in the Americas. Constructed as a cultural venue for the 1992 Expo, the theater primarily hosts opera and musical performances, including Spanish operettas known as Zarzuelas. Feast your eyes on masterpieces by famed artists, such as Zurbarán, Murillo and Goya. Founded in 1839, the museum features artwork from the Middle Ages to the 20th century. Controversial at first, the waffle-like structure invigorated a tired neighborhood. 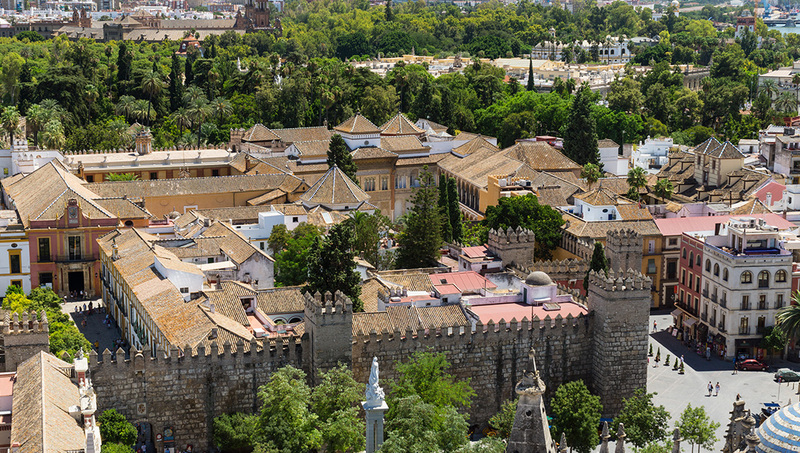 The view from the top offers a city panorama, while underground houses Roman and Moorish ruins. How many days to spend in Seville? 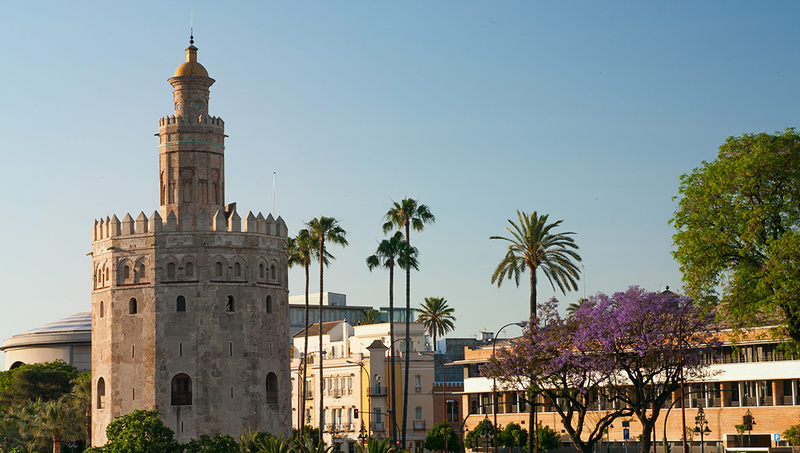 A full four days will allow you to appreciate Seville's attractions without rushing. If you plan to come in spring for the Feria de Abril, then tack on another day or two for this major cultural and colorful event. For a week you'll never forget, consider experiencing Semana Santa (Holy Week of Easter) in the city. The city has a bus and metro system, and taxis are everywhere. 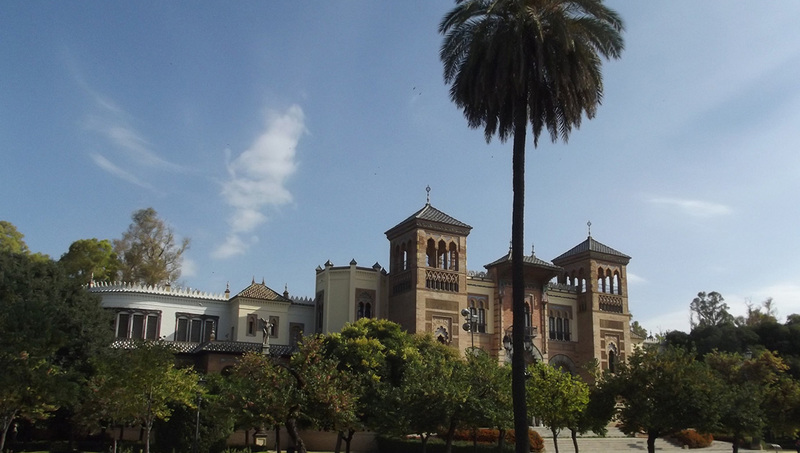 Seville's main sights are also within easy walking distance. If you stay in Triana or simply want to explore the neighborhood, you'll find that metro and bus lines service that area, too. The district of Santa Cruz is pretty central, and you'll have all there is to see in Seville at your fingertips. The district of Arenal is also a great option, as well as the former Jewish quarter of Triana across the river. Please keep in mind that if you are planning to arrive for Semana Santa, some hotels may require a week's stay. From March to May, the city enjoys warm, comfortable temperatures, the crowds are yet to arrive, and there are some great festivals to experience.